A large contingent from our club made their way to Sydney to compete in the NSW Relay Championships at SOPAC on 19 July 2015. Our team of 19 competed in 23 relays over the day of racing in the 25m diving pool. For a few, this was a new experience and everyone enjoyed an action-packed meet. 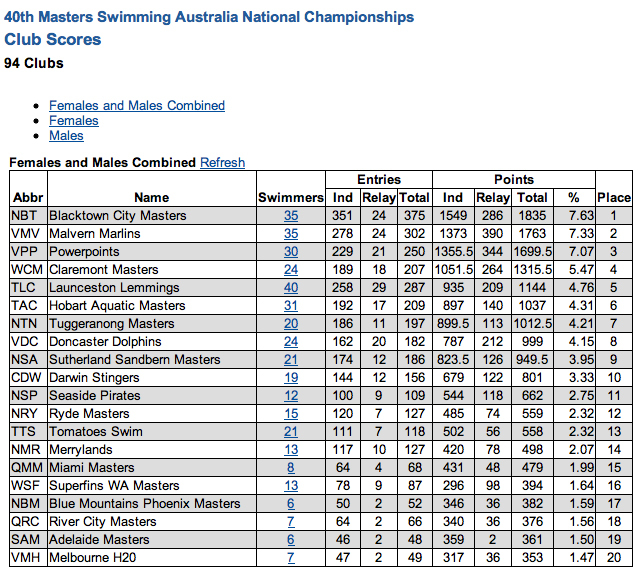 Tuggeranong Masters Swimming ACT came 7th out of a 14 clubs, a great result considering the distance we have to travel to attend the meet. 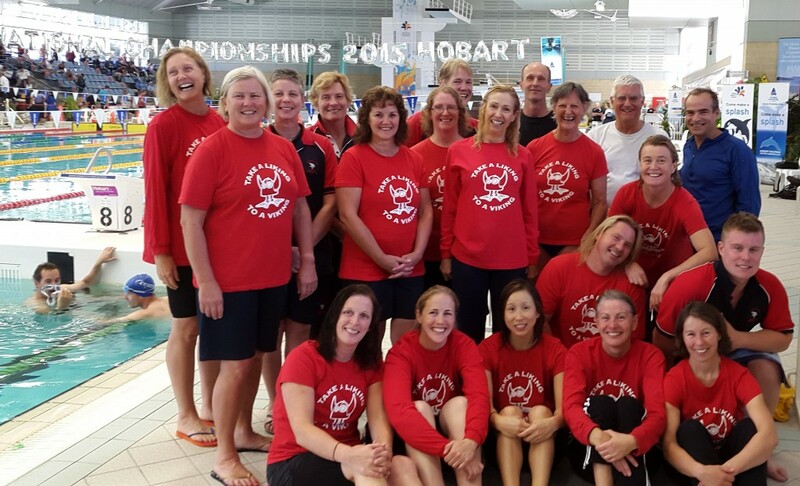 The State Relay Meet is the essence of what Masters Swimming stands for: fun, friendship and fitness. We warmed up the night before with some pre-race carb-loading at the pub and a nice feed at the Thai noodle house! Denise Druitt, Al Byrne and Otto Benda competed in the Relay Meet for the first time and all remarked that they would be back next year. It was great to see Kristen Leydon in the water again after a long absence. Many clubs had a number of first time competitors and it really is a fun friendly meet with all sorts of swimmers ranging from ex-Olympian, Shane Gould, to new starters. It doesn’t matter – everyone just gets in and has a go! 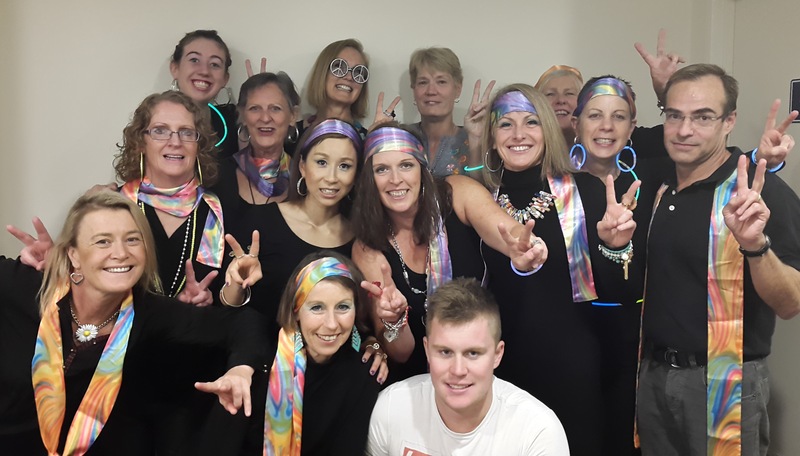 Well done to all our team members: Ann Reid, Anne Smyth, Caroline Makin, Denise Druitt, Donna Campbell, Jeanette Droop, Kristen Leydon, Leisa Cass, Pam Munday, Rachel Harrison-Wyatt, Al Byrne, Andreas Falkenau, David Bale, Greg Gourley, Jon McCrae, Kade Burgess, Otto Benda, Richard Flockart, Roger Dietrich. So keep the Relay Meet in mind for next year! Come and join in the fun! 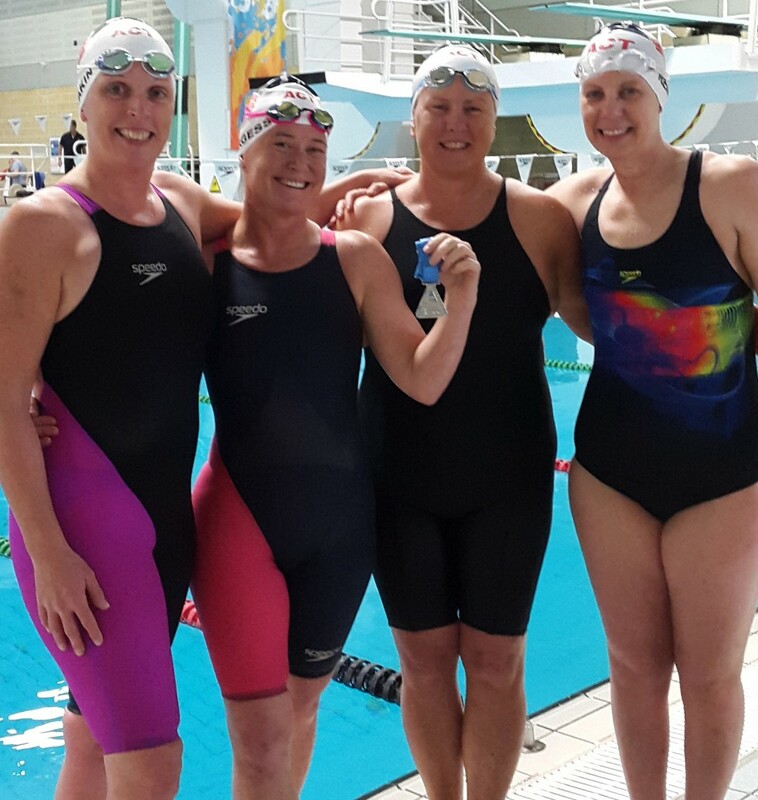 For the second ACT Interclub Meet in 2015, it was Molonglo Water Dragon’s turn to host at Gunghalin Leisure Centre in Canberra on Sunday, 14 June 2015. Molonglo Water Dragons put out a solid team of up 14 swimmers to measure up against 22 Vikings. It was nice to see two swimmers from Ginninderra also rolling up to participate. Swimmers were able to swim up to four events from a choice of a 200m swim, 4x50m swims and a 400m swim in long course 50m format. The afternoon brought some nice swimming to watch and some good times recorded. The relays held prior to the final 400m event saw the teams displaying camaraderie and rivalry in the marshalling area and behind the blocks. The social event was well supported and it was good to see so many Vikings dining alongside the Molonglo crew at the Raiders Club after the meet. Thanks to those swimmers, family members and friends who came along to help with timekeeping and official duties on the day – without your support it is difficult to run our local meets! Our next ACT meet will be The Tuggeranong Challenge on Saturday, 19 September 2015.